Lasagna is a favorite in our house, but it can often be seen as a heavy, winter type food. 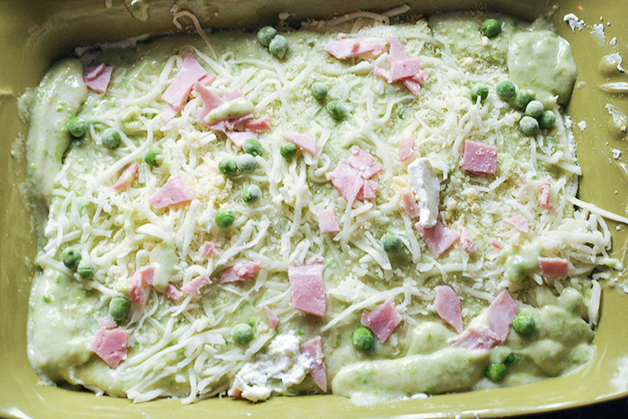 Always inspired by the flavors of the season, I decided to use peas and ham to make this dish look and taste more like spring. The freshness of the peas adds a delicate flavor that blends beautifully with the saltiness from the ham and the creaminess of the ricotta. 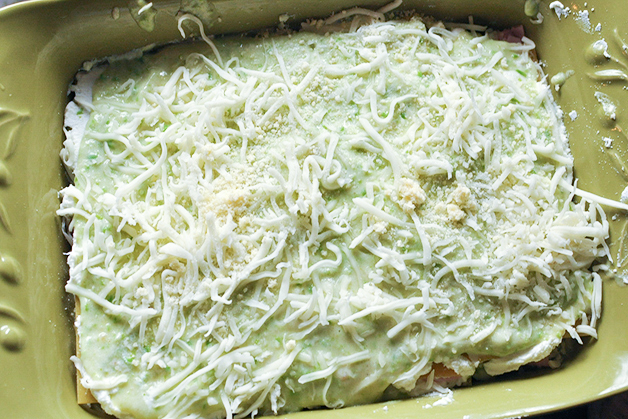 This ham lasagna would be an excellent first course to your next spring brunch and will definitely become a new family favorite. 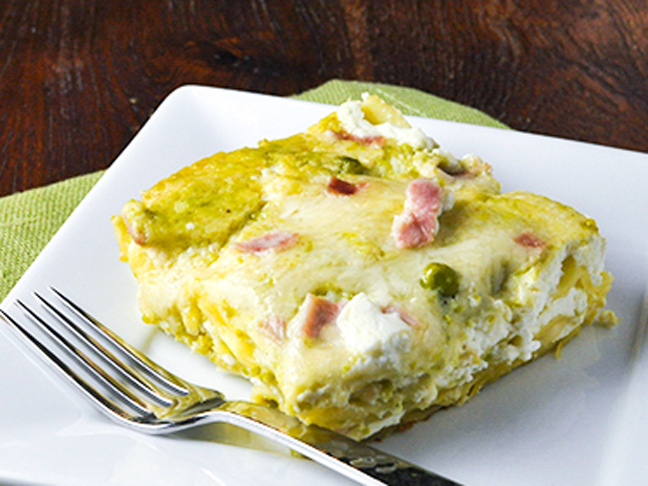 The flavors of spring combine perfectly in this ultimate brunch dish. Step 1: Preheat oven to 350 degrees. 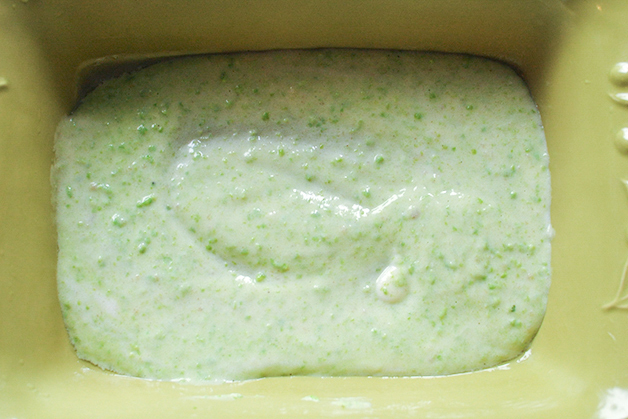 Grease a 13 x 9 inch baking dish with a little olive oil. Step 2: Melt butter in a medium saucepan over medium heat. 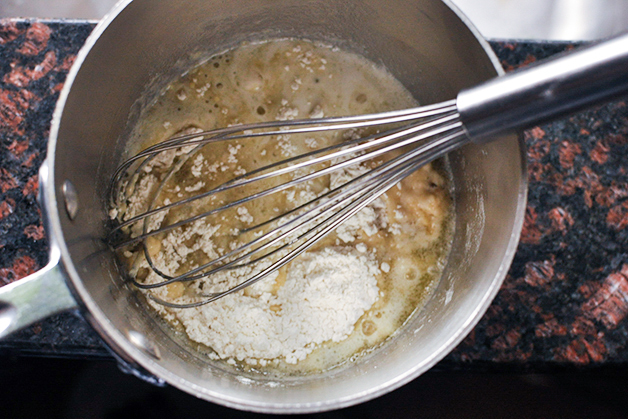 Whisk in flour and cook mixture until flour and butter turn a light golden color. 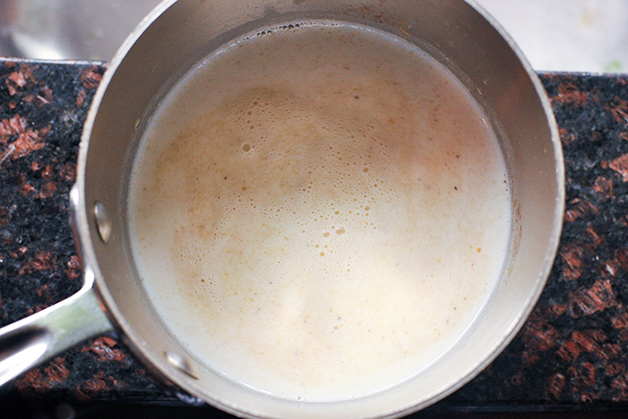 Slowly whisk in milk and continue to cook while whisking until mixture thickens, about 5 minutes. Step 3: Season with salt, pepper, and nutmeg. 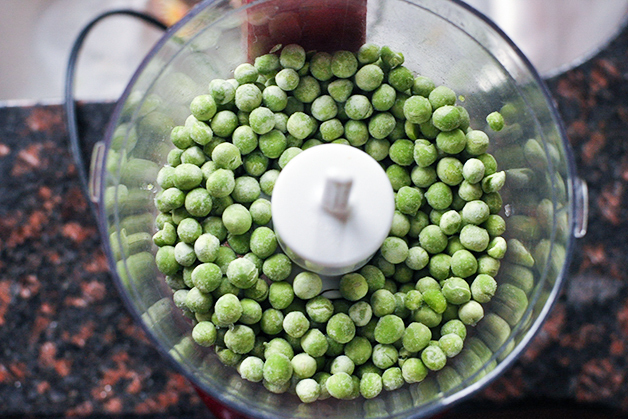 Step 4: Add the peas and the sauce to the bowl of a food processor. Process until smooth, about 3 minutes. 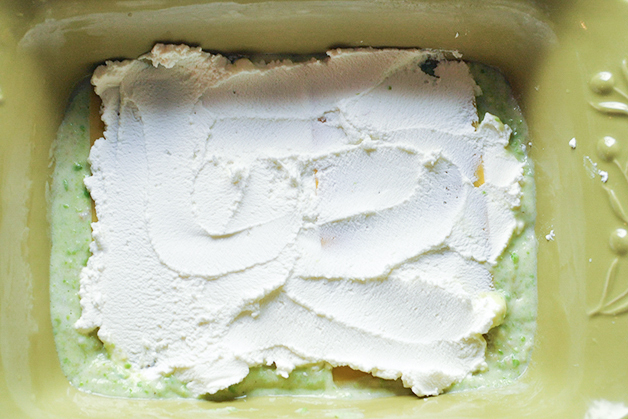 Step 5: Spread about ½ cup of pea cream into the bottom of the baking dish. Layer lasagna pieces over the cream. 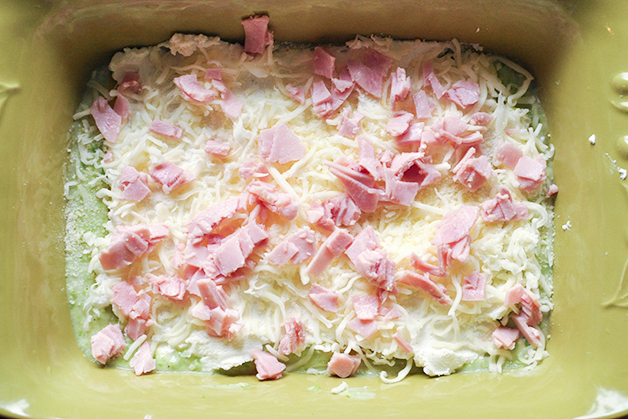 Spread ½ cup of ricotta over the noodles, then ½ cup of pea cream, and sprinkle with ⅓ cup mozzarella, ⅓ cup chopped ham, and a sprinkling of parmesan cheese. 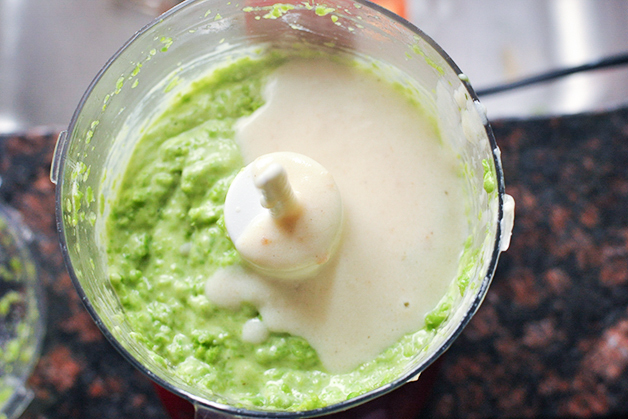 Repeat the layers until all of the ingredients are finished. Step 6: Bake covered loosely with foil for 45 minutes. Remove the foil and bake for another 5 minutes to brown the top. 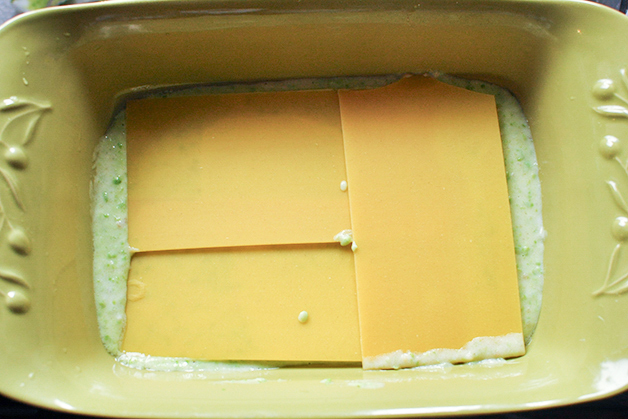 Remove from the oven and allow to cool for 8 minutes before cutting into squares and serving. Enjoy!